If you are anything like me, I always keep a stash of quick food in my freezer. Things like chicken nuggets, I would buy a Costco size bag and always have a quick protein source ready. While most of the “better” brands don’t have too many creepy additives, I like to know that I’m getting local happy chicken. These things are awesome! I make several pounds at a time, and then I always have a meal that takes 15 minutres. 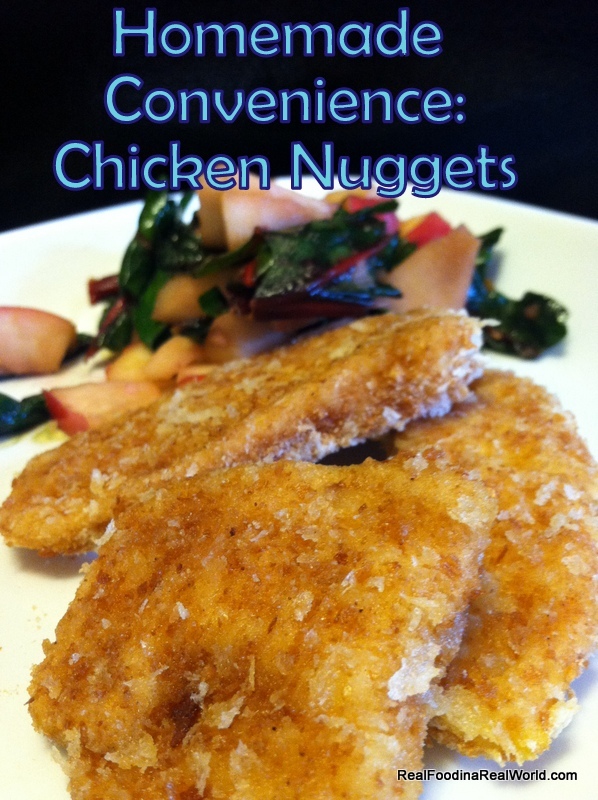 These are relatively simple to prepare, but a little time consuming. For the time reason, I do several pounds at a time. Time well spent if I can make a ton of meals at once! With your left hand; select a piece of chicken, and coat with the flour mixture. Leave chicken in flour. With right hand, pick up chicken from the flour and dunk into the egg mixture. 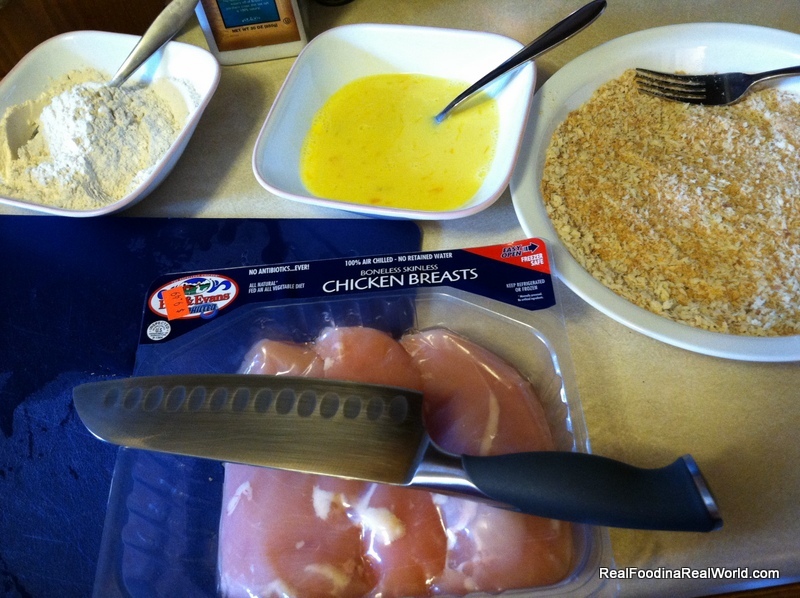 Still using right hand, remove chicken and place into the breadcrumb mix without touching crumbs with your hand. Ok, now that we know how to bread, on to the recipe! Cut the chicken into desired size and shape. Follow all directions above and then let chicken cool completely after baking. Freeze and place strips into a zip top bag. To bake from frozen (don’t thaw) just place on greased baking sheet and bake at 375 degrees for 15 minutes.